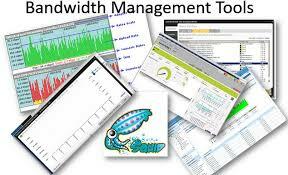 The main aim of implementing Queues on a network is simply for bandwidth management and traffic prioritization. With queues, you’re in control of the speed at which a particular IP or users access the internet. 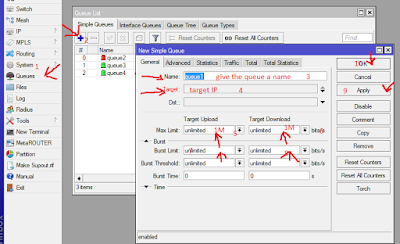 On mikrotik routers queues are easy and fast to implement. Queue implementation in MikroTik RouterOS is based on Hierarchical Token Bucket (HTB). HTB allows creating hierarchical queue structure and determining relations between queues. In summary queues are used for the following reason. 3. Prioritize some packet flows over others. 4. Configure traffic bursts for faster web browsing. 5. Apply different limits based on time. 6. Share available traffic among users equally, or depending on the load of the channel. To add queue to a network, all you need to do is to lunch our winbox. On the menu click on queueand click on add button to add a target queue IP address. Set the maximum upload by clicking the drop down arrow and then choose 1M and then edit to the maximum rate your prefer, choose the maximum download as usual. Most time you will need to put the link on burst, what this does is to let the user push over the queue bandwith if they are congested for a period of time which your are also going to set. Let say if this user reaches its threshold of 1M and for 60 seconds he is still on 1M this link will burst up to 2M to allow the user browse. after then you click on Apply and ok.
You can add more queues to your router to monitor your network, by clcicking the add button and the target the usesrs you want to queue up. Another thing I want to talk about is the color which green, yellow and red which gives you an idea of what the threshold of traffic on your network. 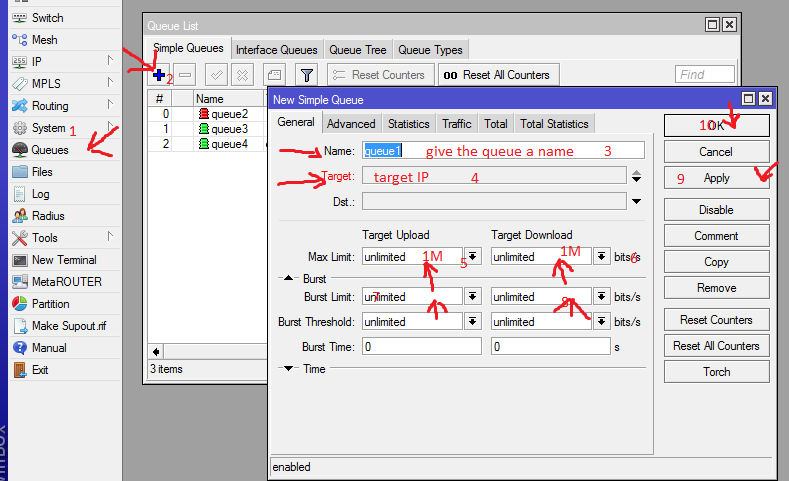 There is also feature priority in queues what this does is to give some other IP more preference over the other. You can add this to group which you think should have more priority on the network maybe the admin or the boss in the organization. So this is actually how you go about configuring queues on your mikrotik routers. Thank and stay with us for more tutorials on mikrotik.